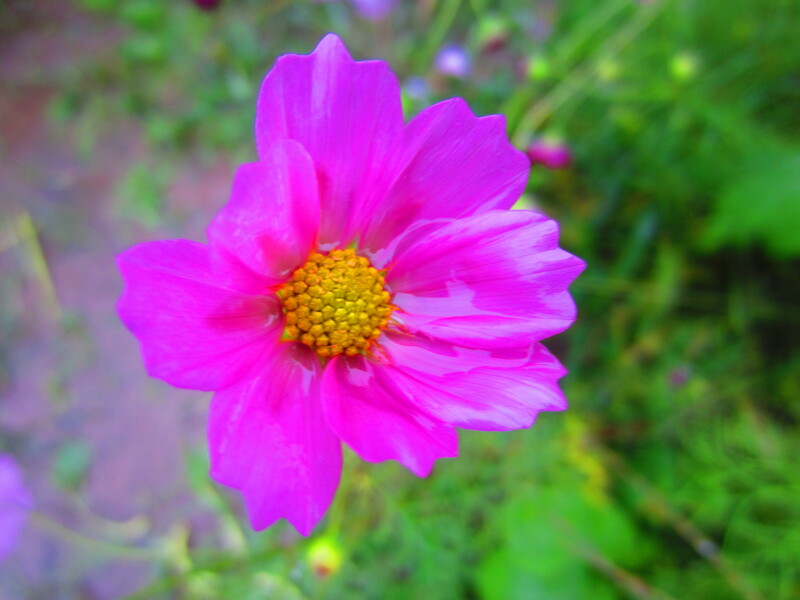 Bright pinks, fuchsias, reds and whites: cosmos are the flowers of autumn. From the overgrown patches of greenery in Tokyo to the endless fields of flowers in the countryside, cosmos bloom throughout Japan from late August to early October. Some of the best places to see cosmos are just north of Tokyo. 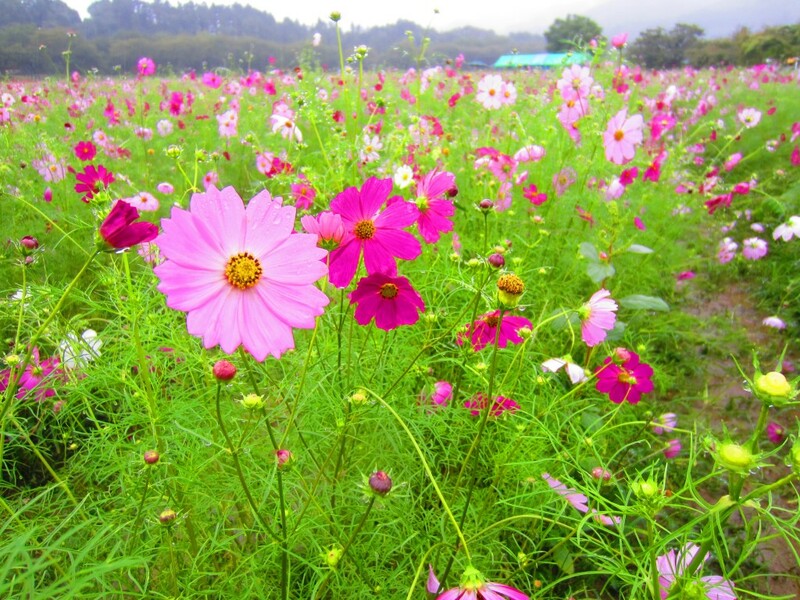 Alternatively, the Hokuriku region in western Japan along the Sea of Japan also offer breathtaking cosmos fields. Reminiscent of summer’s wild flowers, cosmos remind us of warmer, carefree summer days, while bringing with their arrival the crisp, revitalizing nature of autumn. Their impermanence reminds us that all things must end no matter how beautiful and good, or conversely, unappealing and bad. As with all beautiful, short-lived things, it is their short duration that makes us appreciate them even more. Ranging in color from vivid pinks to pale, pure whites, cosmos can also grow to stand very tall. Running through cosmos fields is living a dream. 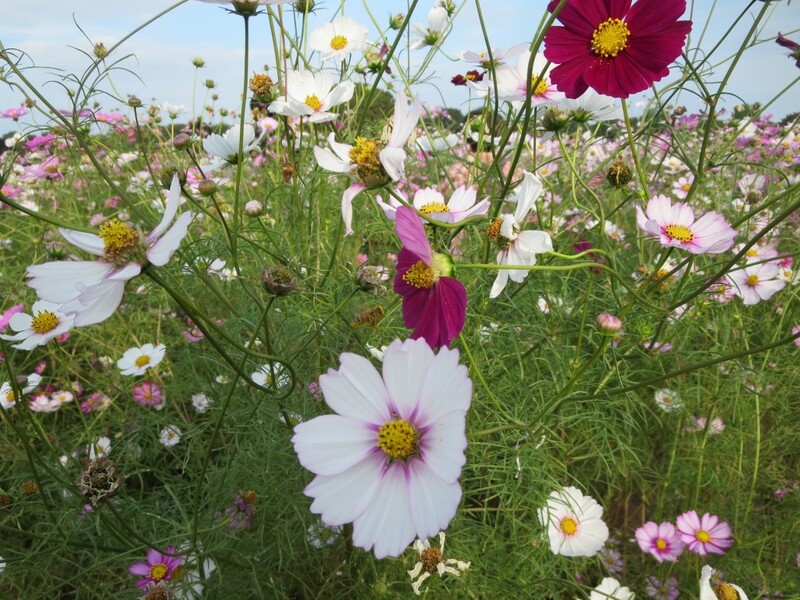 On quiet days without many visitors, cosmos fields are picturesque and peaceful. The flowers gentle sway in the breeze as the greenery refreshes the mind and body. Unfortunately, adverse weather shortens the life of the flowers. Although cosmos flowers don’t live for much more than a month, they can be delicately preserved. Some cosmos farms allow visitors to take home flowers for a small fee or for free at the very end of the season. These flowers can be pressed and dried between books or in frames. Attached to cards, cosmos can transform any handmade gift.